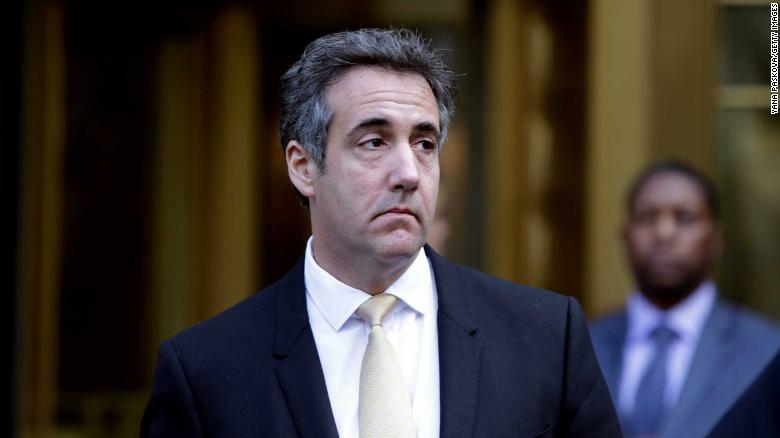 Micheal Cohen has becone infamous as Trump’s “Fixer”, but a true fixer he is not. First, a fixer doesn’t get caught up in his own affairs (not paying taxes, taxi medallion fraud, etc.). By drawing attention to himself with his ancilliary activities, he loses his ability to be a true fixer. Second, the fixer takes the bullet. Cohen is famous for saying he’d take a bullet for Trump, but when the opportunity was there, Cohen was all about himself. When Cohen’s role as a fixer first became known, I thought that he’d live up to his role. Surely Trump had a trusted confidante that understood his role, I imagined. I was wrong. My ability to predict elections, people and football games remains at about 50%. My favorite best fixer of all time is the fictional Tom Hagen, of Godfather fame. While he was a consigliere to the Godfather, he was also a lawyer and trusted friend, a virtual adopted son to Vito Corleone. Need something fixed, like a studio boss (Jack Wolz) to give an actor (Johnny Fontane) a prominent role, all the Godfather had to do was mention it to Hagen. Next thing you know, Walz’s favorite horse’s head was laying in a bloody mess on the bed when Walz woke up. Walz knew what to do, Fontane got his starring role. Now that is a problem handled. Such is the kind of “fixer” that someone of Trump’s stature requires. In fact, it is clear that the Godfather didn’t ever have to tell Hagen what to do, just what the end result needed to be. Hagen made it happen, in ways that were often ingenious and impressive. Hagen never sought the spotlight, he never sought to personally profit from his relationship with the Don, he just did his role. He understood, although reluctantly, that for the Don what really mattered was family. When Sonny expired in a hail of bullets (while acting impetuously), Hagen kept the family focused. When Michael was selected to succeed the Don in the active management of the family, Michael picks his father to serve as consigliere instead of Hagen, because he wasn’t a “war time” guy. It was the right move, and while it hurt Hagen’s feelings, it didn’t affecrt his job performance. He was a fixer. Trump thought he had such a man. And maybe he did at some point, but then the lights got turned up and the heat was increased, Cohen melted. I’m not sure Trump could have ever paid Cohen enough as it’s hard to satisfy the appetite of a thief. Cohen was cheating on his taxes and he was cheating on taxi medaillions (that aggravates the government when you cheat them when they are cheating the public). So unbeknownst to Trump, Cohen was untrustworthy. Or maybe that is exactly why he was Trump’s fixer, since Cohen was such a stool, he’d always be a easy target if Trump needed a fall guy. It’s all pretty complicated and to really know what is going on you’d have to have more insight into the operation than we have. Cohen isn’t nearly as smart as I figured he would be. I tell people all the time that just because I’m a lawyer doesn’t mean I’m smart. It just means I graduated from law school and passed the bar exam. What I do thereafter is a better measuring stick of whether I’m smart or not. Cohen must have missed the day in law school when you learn that you never, ever, in a million years, talk to the FBI when you are a suspect. It just doesn’t work to your benefit. Yet Cohen told stories, by his own admission.